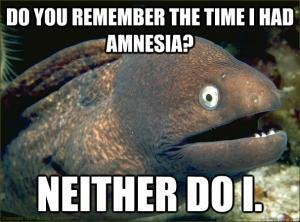 Kim, did you hear the joke about amnesia? 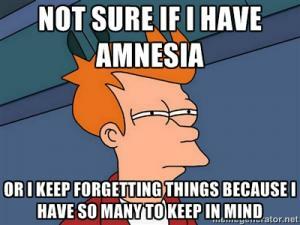 I forgot how it goes!!! 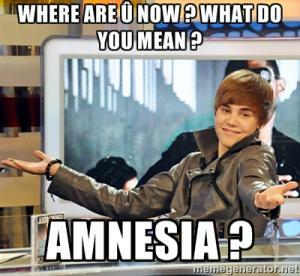 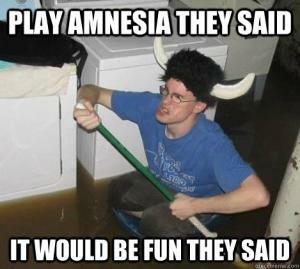 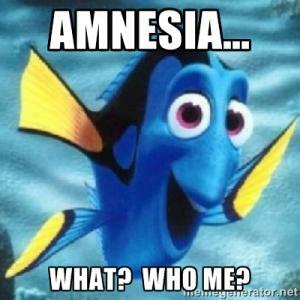 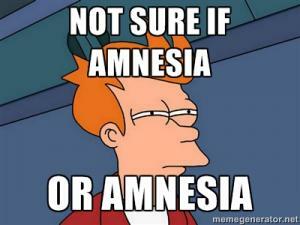 Do You Remember the Time I had Amnesia? 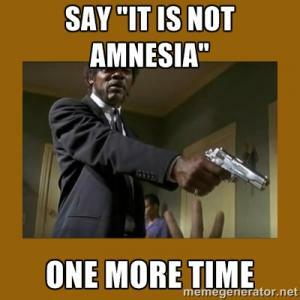 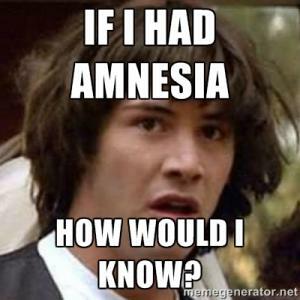 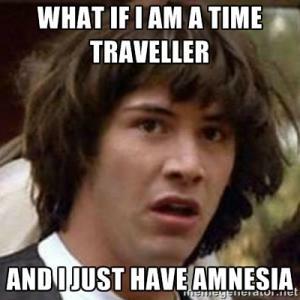 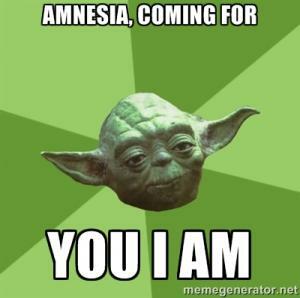 Say "it is not Amnesia"
if he suddenly suffers from amnesia?